FALCONS (-6) over Rams. I don't feel particularly great about this. The Falcons struggled to score against the putrid Saints defense last week, and the Rams looked pretty good against a decent Arizona squad. With Roddy White playing with one leg and with the Rams having a solid defense, it seems weird for me to say this, but I think Atlanta gets back on track offensively. I have no clue what to do here. So I'm just going with the home team, and with my preseason power rankings which had the Falcons twelve spots ahead of St. Louis. I should have had the Rams a bit higher, but whatever. Let me shut up now, I feel worse about this game with every passing second. Nope, I'm switching my pick. Rams (+6) over FALCONS. My final answer. The Rams defense looked really good last week, and the Falcons offensive line had multiple breakdowns against the Saints. May I repeat, they had multiple breakdowns against the Saints. You know what? I'm going all in here. Rams win. UPSET ALERT. Panthers (-3) over BILLS. I don't like taking the road team to cover the spread, but the Panthers front seven is absolutely legit. That's going to be a problem for the EJ and CJ Show up in Buffalo. The Panthers shut down Seattle's ground attack last week. Yes, their secondary wouldn't know defense if 1985 Buddy Ryan appeared on their secondary, along with Mel Blount just spontaneously appearing in a Panthers uniform on Sunday. But still, the front end will make up for it. I'm sticking on the Tampa Bay bandwagon for just a little while, but once Josh Freeman inevitably flushes his career, and my incessant defense of him down the toilet, I'm taking the Panthers to win the division. These cats (no pun intended) are good. BEARS (-6) over Vikings. The Vikings were thoroughly dominated for most of last week's game. The reason being, (shock and awe time) Christian Ponder is bad at football. Guess what, this week, Christian Ponder is equally bad at football. Maybe even worse. Chicago's defense is pretty good, and I trust their offense to jump out to an early lead and hold it. PACKERS (-7) over The Washington Professional Football Team. I'm sure that the Washington Professional Football Team (wow, they really do need a shorter name) are still tired after Chip Kelly unleashed Offense-a-Palooza on the NFL last week. Taking into account that the Washington defense was not that great to begin with, it was like unleashing ten Zdeno Chara slapshots on some unsuspecting sucker in the middle of a desert. They're thinking, A) Why the hell is Chara shooting at me, B) How the hell is he shooting hockey pucks on sand in 110 degree weather? and C) Damn he's tall. That's my way of saying that Washington's defense isn't that good, and facing the Packers will be like unleashing Zdeno Chara slapshots on Ilya Bryzgalov. They'll be prepared, but there's still no chance. I know you just enjoyed my elaborate hockey analogies. It's back in three weeks!!! Dolphins (+3) over COLTS. Hmm, this is an interesting one. The Dolphins looked fine last week against a pretty good Browns defense, and the Colts struggled to defend Terrelle Pryor. May I repeat, Terrelle Pryor gashed the Colts. He is second in the NFL in rushing yards because of how unprepared and simply bad the Colts looked against him. The Colts offensive line is also a question mark, as is their running game now that Vick Ballard is out for the year, so they have to rely on Ahmad Bradshaw, who himself is going to get hurt by simply waking up one morning. I have the Colts at 8-8, and as much as I like Andrew Luck, they may even be worse than that. The Dolphins will probably exceed my 6-10 prediction for them. I'm taking the Fins straight up here. UPSET ALERT. CHIEFS (-3) over Cowboys. The Chiefs are a better team. At home. Need I say more? EAGLES (-7) over Chargers. Both teams are playing off short weeks. And they're both coming off games in which they tried as hard as possible to blow an enormous lead. Look back at my pick for the Packers/Washington Professional Football Team game. Even after that offensive explosion, and being up 33-7 a minute and a half into the second quarter, their defense allowed a nearly incredible comeback, hanging on to win 33-27. San Diego watched that game and said, "Woah woah woah, hold on here. Anything you can do, I can do better." So they took a 21 point lead four minutes into the third quarter, and said, "Let's show the Eagles how it's done." They went ahead and let the Texans score 24 unanswered points. While I think that the Eagles defense is horrible, and will get them into serious trouble against the better teams in the league, that won't come into play this week as the Chargers are not one of those better teams. The Chip Kelly Offense-a-Palooza should be enough. The Chargers should be playing catch up most of the game. Philip Rivers playing catch up is about the funniest thing that will happen all year. RAVENS (-6.5) over Browns. I still think the Ravens are a good team that just ran into the Peyton Manning buzzsaw. Now they're going up against the Brandon Weeden butter knife. Titans (+9) over TEXANS. First of all, the huge line makes me think long and hard about actually taking the Texans to cover. The Titans looked great against the Steelers last week, but I don't know how much of that is because the Steelers are horrible and how much is that the Titans are better than I thought. Since I don't know what to make of them, I'm picking them to lose my a touchdown. Lions (-1) over CARDINALS. Easy money. I originally had the Lions at 10-6 and snagging a wild card, but Joshua Tyler Freeman sucked me back into the trap of loving him. Once I come to my senses (which will probably only be when Mike Glennon takes over the starting job in Tampa), I think the Lions have a great chance to make the playoffs. BUCCANEERS (+3.5) over Saints. The Bucs held a players-only meeting this past week. Just in case you were wondering what that says about where their season is headed, it means it's hovering above the toilet as of now. So why am I picking them to win? Have you not been reading this whole post? Because I love Josh Freeman!!! It's irrational, and he looked awful at the end of last year, and not much better on Sunday in New York. He had his captaincy stripped when the players voted for captains. 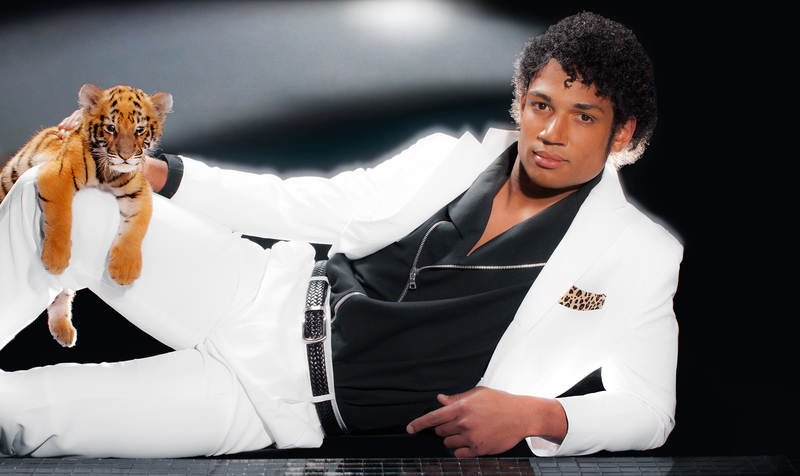 And yet, I still believe that the guy we saw at the beginning of last year is the true Josh Freeman. I don't know why I keep doing this to myself, but I'm sticking with my boy here. Can't wait for him to burn me again. Also, the Saints are not very good. UPSET ALERT. Jaguars (+6) over RAIDERS. Avert your eyes. Don't watch this game. There are many reasons why. Blaine Gabbert posted a 1.2 QBR last week. He had one of the worst games in the history of the NFL. Oh wait, he's not playing? This is actually the greatest day in the history of the Jaguars. I don't know why so many fans defend Gabbert. He's not just bad at football, he's absolutely atrocious. He'disgracefully bad. With Chad Henne starting, I actually give the Jags a chance in this game. He's not the long term answer, but he's Joe Montana compared to Blaine Gabbert. Also, speaking of bad at football, Terrelle Pryor is starting for the Raiders. So, yeah. This matchup is going to determine the #1 pick in the upcoming draft. I think the Jags will win, and they may trade up to swap picks to make sure they get Teddy Bridgewater. They can't go into next year with those helmets and Blaine Gabbert donning his #11 jersey. Ugliest combination ever. UPSET ALERT. GIANTS (+4.5) over Broncos. Sure, the Broncos are really good, but please stop acting like we should hand them the Lombardi after their opening night game. I think this game has a chance to end up 70-67 because of how bad both defenses are. I believe that the Giants will get it together and due to their superior defense, will take this one at home. UPSET ALERT. SHE-HAWKS (-2.5) over Forty-Whiners. Best game of the year. Better than their matchup in San Francisco because of the fans in Seattle. It's going to be great. While I believe that my boy Colin F'ing Kaepernick is slightly better than Russell Wilson, the Seahawks have a ebtter overall team. They should win this one by a field goal. BENGALS (-6.5) over Steelers. I have the Bengals going to the Super Bowl. I have the Steelers missing the playoffs. Bengals are good, the Steelers are potentially awful. What more do you want from me?